Background: Metabolic syndrome occurs more often among people living in poorer social conditions. The health status of the largest minority ethnic group in Hungary lags in many aspects behind that of the general population. 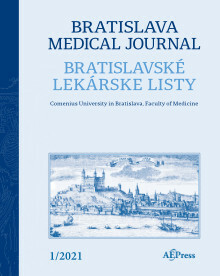 Methods: To estimate the prevalence of metabolic syndrome a screening was initiated in the city of Győr among subjects aged 20–70 years who declared themselves as Gypsy. Subjects with known diabetes and cardiovascular disease were excluded. The diagnosis of metabolic syndrome was based on the ATP-III criteria. Results: Among the 77 individuals screened (35 men, 42 women, age 46.9 ± 10.6 years, x ± SD) diabetes mellitus was found in 14 cases (18.2 %), and pre-diabetes (impaired fasting blood glucose (IFG) or impaired glucose tolerance (IGT) could be diagnosed in further 14 cases (18.2 %). Individual components of the metabolic syndrome occurred as follows: hypertension in 47 subjects (61.0 %), abnormal waist circumference in 40 individuals (51.9 %), abnormal HDL-cholesterol in 39 cases (50.6 %), abnormal triglycerides in 35 individuals (45.5 %) and abnormal fasting blood glucose in 15 subjects (19.5 %). Within the cohort metabolic syndrome could be diagnosed in 39 individuals (50.6 %) without a significant gender difference (males 20/35 = 57.1 %; women: 19/42 = 45.2 %, p>0.05). Conclusion: The occurrence of metabolic syndrome and that of glucose intolerance is high among adult Gypsy people in Hungary. In order to recognise cardio-metabolic risks and to prevent their cardiovascular consequences, continuous health promotion and adequate medical care should be provided for the Gypsy population in Hungary (Tab. 5, Ref. 32). Keywords: Gypsy (gipsy) population, metabolic syndrome, glucose intolerance, screening, cardiovascular risk factors.